Food security is increasingly becoming an urban issue. 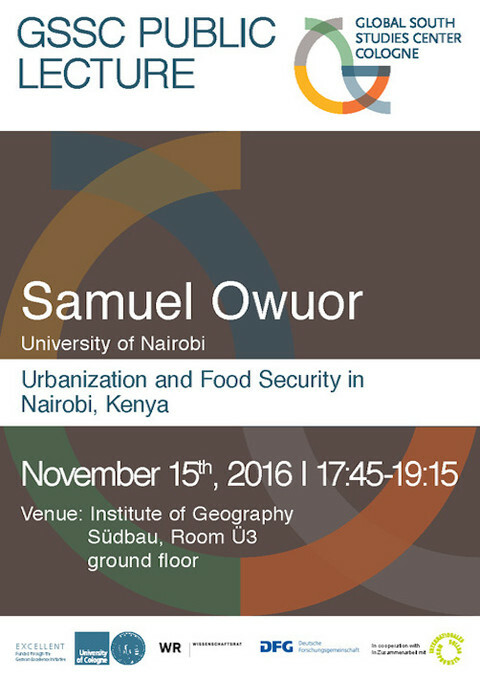 However, food security situation is rarely understood and prioritized in sub-Saharan African cities. The situation is made worse with the high rates of urbanization, as well as the impacts of global economic and environmental changes. There is no doubt that growth in urban poverty, food insecurity and malnutrition and a shift in their concentration from rural to urban areas will accompany urbanization. Although urban residents have access to a wider array of foods, their food security largely depends on their income, ability to purchase food products and ability to grow own food. This presentation will focus on some aspects of Nairobi households’ food security situation along the lines of availability and accessibility to food.